Knowing as much as possible about your customers is only part of the battle in successful targeted marketing. 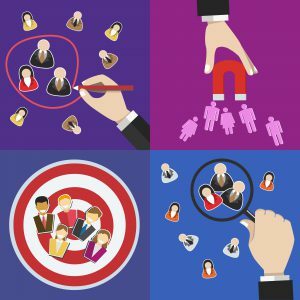 Once you have gathered useful demographic data on your leads or established accurate customer personas for your most likely customers, you still have to interact with them and convince them to buy your products or services. In this part of your marketing process, where and how you interact with potential customers matters. In-person interactions require the same type of customer care they always have. You must answer questions, provide information, and make informed suggestions that are best for the customer. Online, you must be willing to engage with your customer when they need and want to interact with you. Questions: Customer service agents who answer questions must be available to respond as quickly as possible. Delays in answering online queries will give customers the chance to lose interest in you and look elsewhere. Problems: Problems must also be addressed quickly. If a potential customer thinks you’re ignoring a problem or issue, your reputation will suffer and your potential customer will conclude that you don’t care. Some interactions can be very subtle, but they will have a significant effect on how your potential customers react to you. Design: The design of your marketing materials often reflects the demographic segment you’re targeting. Marketing aimed at an upscale market will usually have a more sophisticated look that refers to issues exclusive to that segment. Marketing aimed at a more general audience tends to have a more popular appeal. Copywriting: Similarly, the copywriting and text of your marketing materials should be geared toward your target audience. Chatty, familiar-sounding text will work for a customer who is shopping around while terse, facts-only copy will be more appreciated by customers who have little time to spare. Construction Monitor’s mission is to provide the most accurate and most recent data that construction companies can use in their marketing efforts. Contact us today for more information on targeted marketing and how to make sure your marketing interactions are as effective as they can be.